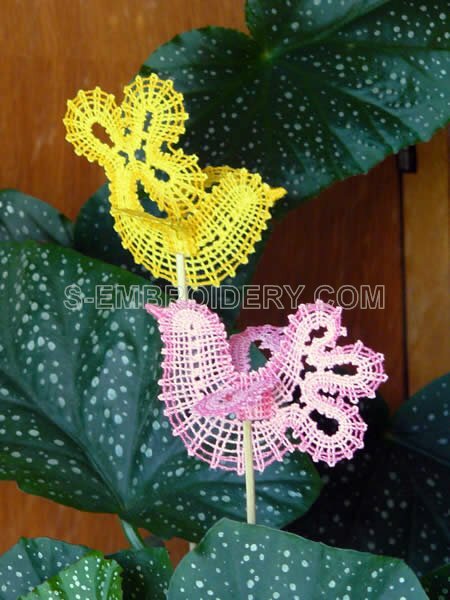 A set of 2 Battenberg lace Dove machine embroidery designs. 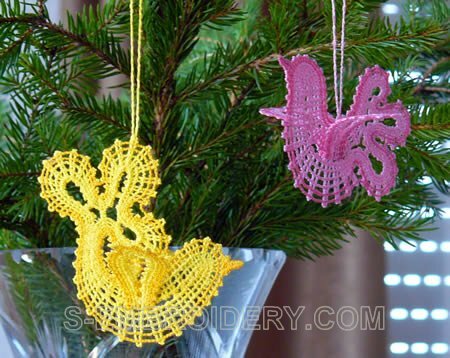 The delicate dove Battenburg lace ornaments can be used as decoration for the Christmas and Easter tree, flower pot decorations or as baby mobiles. 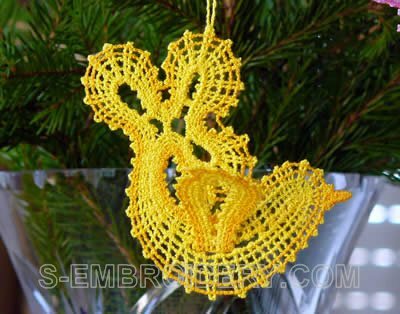 Each lace ornament design is available in 2 flavors - with and without a loop for hanging. The designs with the loop are offered in 2 versions. 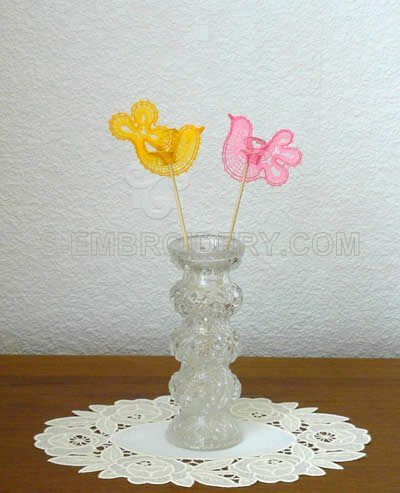 Both of them are identical except for the layout of the machine embroidery files. 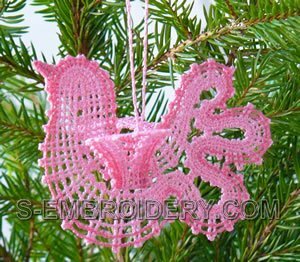 One is for 5x7 or larger hoops and the machine embroidery files include both parts of each dove design, so that they can be stitched out in one hoop. The second version is for 4x4 hoops, so the designs are split in 2 parts in order to fit in the hoop. The set for 5x7 or larger hoops includes 4 machine embroidery files, and the set for 4x4 hoops - 6. Note: For images, please scroll down this page.